Super Bowl Team Rush. Games online. 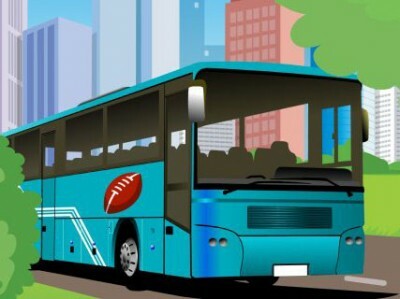 Help the football team get to the stadium in time for the Super Bowl. Drive the bus and collect bonus points, which will get you faster to your destination. Try to get to the finish line before you run out of time. Be careful not to hit any other cars.